In a recent web-post published by Time, Auren Hoffman, CEO of LiveRamp, discussed the traits of some of the most successful people in the world. Chief among them was the tendency to spend a lot of time alone in their formative years. “Especially when people are growing up, spending time alone gives one the space to explore, to be weird, to learn, to imagine, and to dream,” he said. It can be frustrating when your teen comes home from school and barely acknowledges you before rushing upstairs to their room, but that alone time might actually be a very good thing. Alone time is quite different than loneliness; while chronic loneliness—feeling alone and disconnected from others—carries with it risks such as heart disease, depression and other physical and psychological problems, the act of spending time alone is often associated with creativity and confidence. In choosing solitude, your teen may be able to escape the chaos of their day-to-day activities and simply bask in the random thoughts that sometimes lead to great ideas. If your teen is introverted—a real possibility as studies have shown that one-third to half of the U.S. population are introverts—alone time is extremely important to their mental well-being. Where extroverts gain energy from social interaction, time spent with others often drains introverts (regardless of whether or not they enjoy it!). Alone time allows an introverted teen to refuel. Even if your teen isn’t introverted, their brain still needs time to rest and recharge. Particularly in our super-connected world, time alone provides a necessary opportunity to clear the mind, focus and think more clearly. Research conducted in 1997 by Reed Larson found that patterns of alone time changed as children grew into teenagers, with kids choosing to spend more time alone as they aged. The study found that alone time had “a positive after effect on the emotional state” of older kids and that adolescents who spent an “intermediate” amount of time alone were better adjusted than teens who spent very little or too much time alone. Like Hoffman said, spending time alone allows a young person to fearlessly explore all of the wonderful weirdness that makes them unique—it’s no shocker that these teens are more comfortable in their own skin. 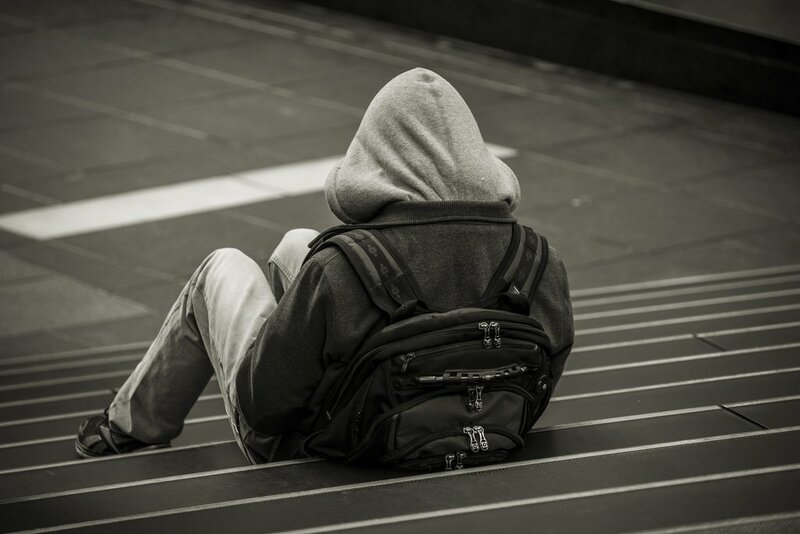 Your teen’s solitude doesn’t have to be a scary thing; in fact, according to Sherrie Bourg Carter Psy.D., alone time can actually lead to improved relationships with others. This time may help your teen gain a better understanding of who they are and who they want to be around; solitude might also lead to a greater appreciation of the people and relationships that already exist in your teenager’s life, including their relationship with you. When your teen is with others, from teachers to friends to family, they must constantly make compromises and sacrifices based on the group. When your kid goes out with friends, they’re most likely doing what the group wants to do (seeing the newest action movie instead of the lovable rom-com, perhaps). Choosing alone time means choosing to do what makes them happy without having to consider anyone else. If you’re nervous about your teen spending too much time in their room, consider just how important alone time can be for your teenager. This is an important time in the lives and while you want to encourage them to have healthy relationships with others, you should also appreciate how alone time can provide major benefits to your teen in the long term.